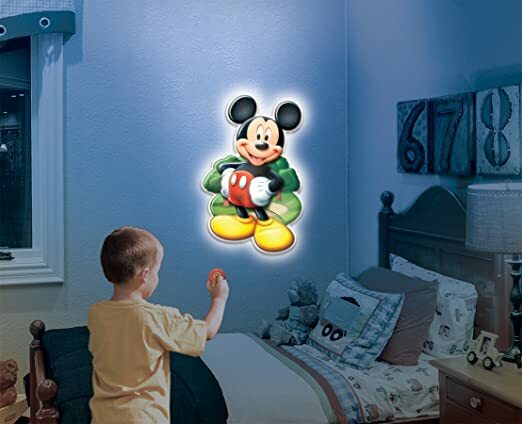 The night light is cute for kids age 3 and up to ease into restful sleep. Now Cloud b Twilight Turtle is on sale at Amazon.com for $22.60 (reg $32). This is a very adorable and unique night light. 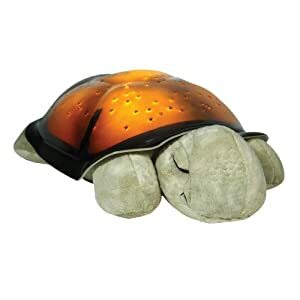 The Twilight Turtle nightlight projects a complete starry night sky onto the walls and ceiling of any room, making night-time less scary and more fun. Cloud b was established by two new mothers with the philosophy that every baby deserves a sound night's sleep for healthy development. All of Cloud b's products are developed in consultation with an advisory board of pediatricians and sleep specialists with a single focus: to achieve a better, safer sleep for baby. OK To Wake! 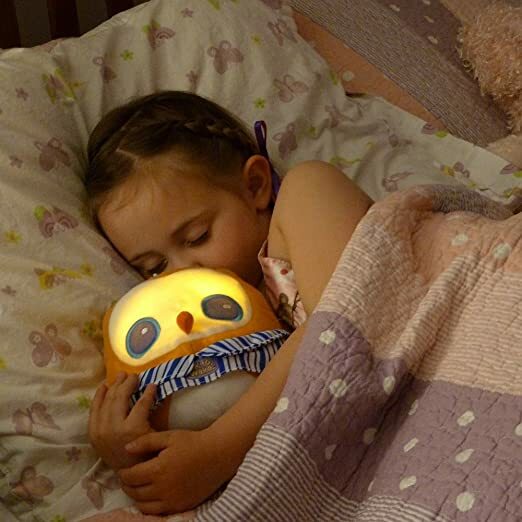 Owl With Night-Light & Music, Nap Timer 这个夜灯玩具是一个非常cute 的idea。 猫头鹰晚上可以发出很融合的黄光，外加 lullabies 儿童的歌谣，可以帮助小孩子很快入睡。 另外还可以set timer， 定时叫小孩子起床。 原价$32.95, 现在打折$19.96. Uncle Milton Wall Friends Minnie Mouse, Talking Room Light 这个是挂在墙上的米妮灯， 用遥控器可以控制她说不同的话。 还可以当夜灯使， 会自动shut off. 原价40刀， 现在打折后$13.49. Today and tomorrow only, June 7th and 8th, Target.com get an extra 25% off kids’ home items including bedding, bath decor, wall decals, curtains and more – note that no promo code is needed as the discount is reflected in the price. 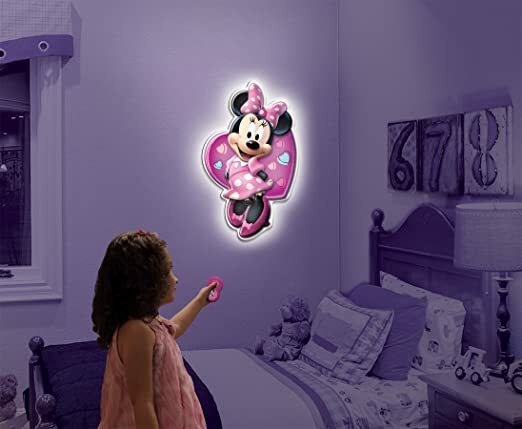 Walmart.com now you can buy this very highly rated Munchkin Light My Way Nightlight for just $6.49! This portable nightlight has an easy-grasp handle, a one-button switch, and a 20-minute timer. 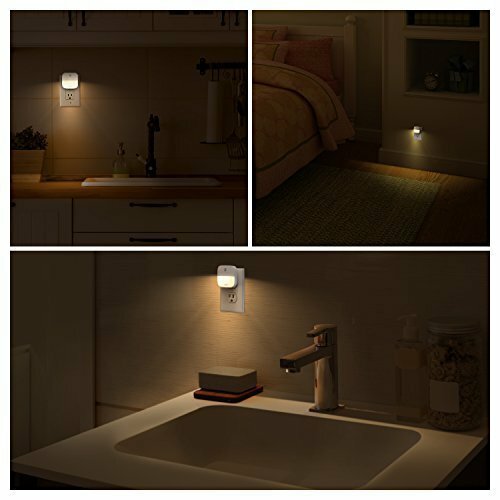 Amazon.com now you can get a 4-pack of Eufy Lumi LED Plug-In Automatic Night Lights in Warm White for only $10.98 (regularly $20.99). 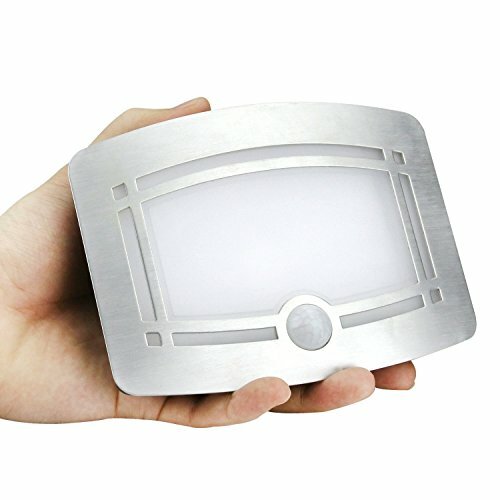 These night lights are compact in size so they won’t block the second outlet, turn on automatically when it gets dark, and are energy efficient! 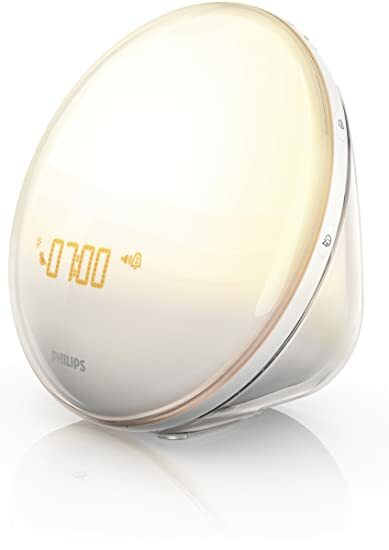 On Amazon.com you can now get this Philips Wake-Up Light With Colored Sunrise Simulation and Sunset Fading Night Light for just $72.55 shipped (regularly $139.99) after you clip the $25 off coupon. philips-wake-up-light Inspired by nature’s sunrise the Philips Wake-up light uses a unique combination of light therapy and sound to wake you in a more natural way. The color of the morning light increases from soft dawn reds through warm orange to bright yellow light. It also includes five calming wake up sounds and a tap-to-snooze alarm clock. You can also use the sunset feature at night to help you get to sleep!